OUR BOARD OF DIRECTORS ARE COMMITTED TO SERVING ELDERS AND LIVING OUT OUR CORE VALUES. Poh Lee was a M&A lawyer in Baker & McKenzie for 30 years. 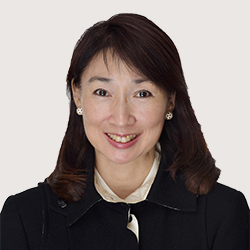 She served in various management roles including Chairman of Asia and Managing Partner of Hong Kong and China. Retired from the practice of law in 2014, she is now focused on caring for the elderly. She studied law at the London School of Economics (LLB) and the University of Cambridge (LLM). She is married with two children. "I believe that to care for those who have cared for us is one of the highest honors. Being old and poor is painful. Being old, poor and sick is bleak. We should not neglect our elders. We should not allow them to feel lonely and without purpose. After a lifetime of contribution to their family and their community, our elders deserve our respect and care." Barry is a partner of Baker & McKenzie, Hong Kong. 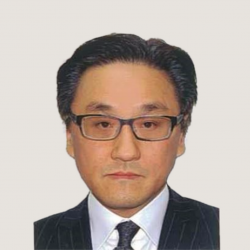 He has been with Baker & McKenzie for 30 years and specialises in banking and financing transactions. Barry is married to Vivien and they have two daughters. “The weak and elderly are a group of people often neglected in our busy society. Often they are regarded as an unwelcome burden even to their own families. Let us not forget that they were the ones who cared for us when we were helpless! Let us respond to them with love flowing from our hearts and bring them honor and happiness which they deserve." Lillian is a college consultant specializing in providing advice on entry to universities in the United States. She is a Director of AmericanPath Educational Consulting Ltd. and has been a private investment portfolio manager for many years. She graduated from the University of California at Irvine, Independent Educational Consultant Online Certificate Program and Santa Clara University (Bachelor of Science). She has one son. "The success, comforts and privileges we enjoy arise from being in society with our surrounding community; in turn, we must furnish others in our community with the same opportunities that we were given and make possible for others what society has made possible for us." Dr. Jon is an experienced ophthalmologist, specializing in cataract and refractive surgery and macula and retinal surgery. 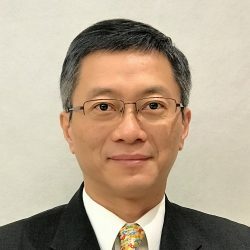 After practicing ophthalmology in various hospitals in Hong Kong, he entered private practice and is now the medical director of the Hong Kong Ophthalmic Specialists. 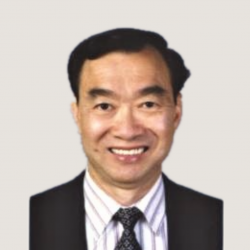 He has a Bachelor of Medicine and Surgery from the University of Hong Kong and various fellowships, including The Royal College of Physicians and Surgeons of Glasgow (Ophthalmology), The College of Ophthalmologists of Hong Kong, The College of Surgeons of Hong Kong and The Academy of Medicine of Hong Kong (Ophthalmology). He is married with two growing boys. "It's love, it's love that makes the world go round. I have always considered it's my privilege and duty to help." 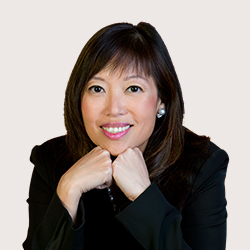 Serena has many years of experience in the financial services sector in Hong Kong, including in fund management and institutional sales. She retired in 2017. Serena has a BSc in Mathematics from the University of London and a MSc in Management Science from Imperial College, University of London. She is married with two boys. "I have had a burden to serve the elderly ever since I returned to Hong Kong in the mid eighties. I think many elderly often look unhappy and neglected and I would like to give them the love, care and attention they deserve! My wish is to be able to make a difference in enhancing their quality of life no matter how small that might be." 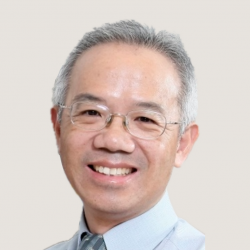 Dr. Lam is a consultant anaesthesiologist in the Hospital Authority and Clinical Associate Professor (honorary) of the Department of Anaesthesia and Intensive Care of the Prince of Wales Hospital. Using his medical skill and experiences, he has served with different volunteers and medical practitioners for the disadvantaged/ underprivileged in Hong Kong and China. He has graduated with distinction in Medicine from the Chinese University of Hong Kong and became a fellow of the Hong Kong College of Anaesthesiologists and the Australasian and New Zealand College of Anaesthetists as well. "It is striking to see so many elderly people are haunted by loneliness and despair as they go through the last stage of their life with much grievances and bitterness. Being a medical professional, it is my utmost honour and privilege to be able to relieve the pain and suffering of the elderly and share the love of God with them with whatever chance I am given." Josephine had extensive experience in corporate investments, before committing to theatre arts and education. Passion in theatre arts led to her establishing Spotlight Theatre Arts Workshop, an English drama and speech training center. She is now Senior Consultant for Creative Arts Learning for Mighty Oaks. 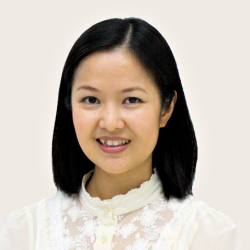 She has a Master of Arts in Theatre Studies from The Royal Central School of Speech and Drama, University of London and Bachelor of Social Sciences in Government and Public Administration from the Chinese University of Hong Kong. Mr. Joshua Mak graduated from the Department of Communication Disorders of University of Sydney in Australia. He worked as a Senior Speech Therapist and supervised the speech therapy services at New Territories West Cluster in the Hospital Authority before his retirement in 2017. For clinical services, Joshua has great interest in areas of dysphagia, voice disorders, and laryngectomy. Joshua currently conducts lectures on adult and paediatric dysphagia at a number of HK university programmes. He is also frequently invited to lecture in different hospitals and public sector bodies in Hong Kong and in Mainland China. Sheila Purves is a strong advocate for appropriate and accessible rehabilitation services for patients and people with disability and chronic disease, when and where they need them. 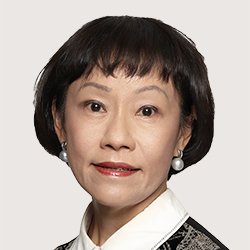 With The Hong Kong Society of Rehabilitation's International & China Division, she has developed and managed training programmes for professionals, officials and community workers in health and social welfare fields, throughout China. Sheila has a degree in Rehabilitation Science (physiotherapy and occupational therapy) from the University of British Columbia and a Masters of Public Health from Boston University. 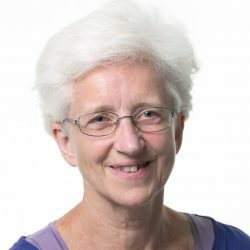 In 2000 she was awarded an MBE on the Queen's Honour List (UK) for her work in China and in 2011, she received an honorary doctorate in social sciences from the Hong Kong Institute of Education. Although now retired, she continues to work in the Mainland and Hong Kong towards our shared goals. 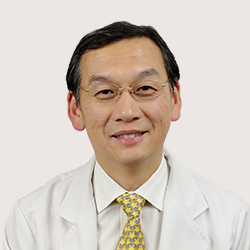 Dr. George Chin is an ophthalmologist based in Seattle, USA. He was formerly Assistant Professor of Ophthalmology at the University of Washington School of Medicine and was also Chief of Ophthalmology at the Seattle VA Medical Centre, before furthering his career in private practice. For close to 20 years, Dr. Chin has been overseeing and participating in medical missions to China to provide free eye care to the poor and underserved, including those in Sichuan and Yunnan. Dr. Chin was awarded the Outstanding Humanitarian Service Award by the Washington Academy of Eye Physicians and Surgeons for his compassion work in China and SE Asia. © 2019 Mighty Oaks Foundation Limited. All rights reserved.